It is essential those planning and designing for cyclists are as well informed about the latest techniques and best practice as they can be. This applies equally to 'soft' (promotional) measures as 'hard' (infrastructure). Transport Initiatives has a long history of running and contributing to training conferences and workshops at home and abroad. Whether you are a small or large organisation TI can help you introduce or develop your cycle training services, or just answer any queries you may have about training. Since 2005 we have been working on behalf of the Department for Transport to develop, monitor and support National Standard training in the UK. 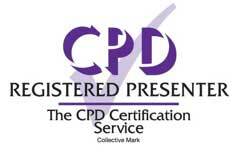 We are also currently managing the introduction of on-road training to the UK standard in the Republic of Ireland. The clients we have helped range from UK and Irish local authorities to national organisations in New Zealand and France. 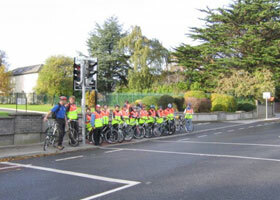 Cycle training instructors can quite easily be trained to deliver programmes of pedestrian training. Transport Initiatives has set up successful programmes of pedestrian training and can advise on how these can be structured and run. In addition to making young pedestrians safer training can be a useful introduction to the skills needed to be safer riders and later drivers. The members of Transport Initiatives have considerable experience of working in a local government environment. This, coupled with their broader experience (see other sections of website), make them well qualified to mentor newly appointed cycling officers and other staff with responsibility for planning and designing for cyclists. 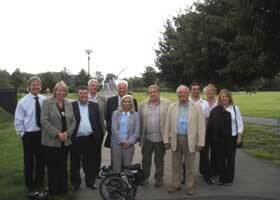 "Seeing is believing" - that's what Sefton Borough Council Members and Officers Study Tour of York was called. They used it as part of their successful application to Cycling England for cycle town status for Southport. TI can lead tours of York and other towns' and cities' cycle friendly infrastructure tailored to your needs. Bus or Bike tours based on the Hierarchy of Provision including road closures, traffic calming, reallocation of road space to cycle parking - whatever you want to see. We can even arrange lunch with Council members and officers. Due to our extensive experience of working throughout the UK we can advise on where best to visit to meet specific needs.